The Mother Lode Region of California has drawn gold nugget prospectors for years. 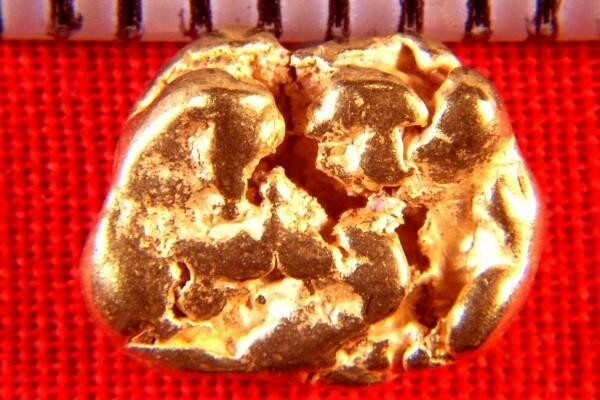 Nuggets like this one weighing in at 2.09 Grams (32.3 Grains) are a delight to find. This one is 7/16" long (10 mm). 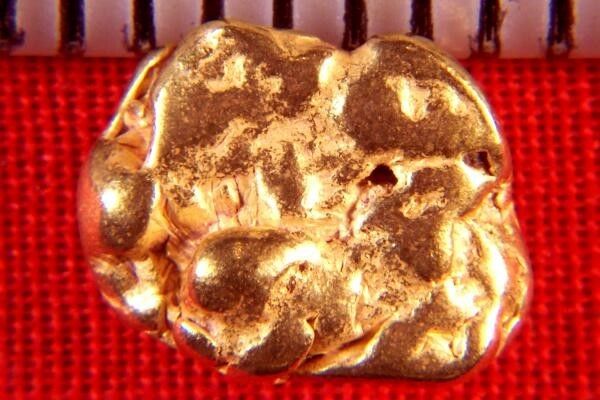 92% to 98% purity (22 KT to 23 KT) gives this gold nugget a beautiful rich color.